Holiday Inn Express creates the same environment everywhere. From a purely theoretical point of view, truly low budget travel would make it apparent that everywhere is the same and there is no purpose going anywhere That’s the genius of Holiday Inn Express. There’s the same steamy pool area with the same screaming kids and scolding but indifferent parents, the same smelly rug in the inconsequential fitness center, the same mass produced buns in the breakfast nook with its pancake maker. One of the things to do at Holiday Inn Express is to go to the breakfast nook after it closes. The breakfast nook at Holiday Inn Express exudes a particular feeling of the sublime when the food’s been removed. 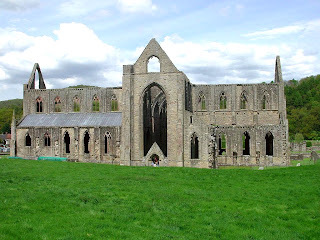 It’s a little like the ruins Wordsworth described in his famous poem Tintern Abbey. And then there’s the unchanging décor of the rooms. Holiday Inn Express is the only redoubt where you can ask to change your room and end up with exactly the same room, even though you have physically moved through space. Unwittingly Holiday Inn Express has solved a problem of quantum physics which has baffled scientists for years: how can a particle occupy two places at the same time. Of course Holiday Inn Express is dealing with people not particles. This is a problem the staff at reception will unlikely be able to resolve during the length of your stay.